Draw, Create, Learn and Teach with our Smart Classroom solutions that support a wide range of features including Interactive Whiteboard, Cloud Storage, Screen Recording and Sharing, Live Webcast, Interactive Applications, Auto Calibration and more! A cloud-based Online Admission Software for everyone willing to accept online applications and manage admissions online with features including student management, accepting online payments, generation of merit lists, counselling &amp; interview scheduling, reporting and related tasks! An RFID and Barcode enabled Library Management Software, connected to Google Books and OpenLibrary Data APIs for faster ISBN search. Other prominent features include – Web OPAC, eBooks, Online Payment, Patron Management, Item Management, etc. Get in touch with for more details about our products, demonstrations & discounts today! Admitek iCampus is the leading Office Automation Software for the education industry. iCampus is the most advanced School & College Management System with more than 36 modules. Admitek Online Admission System helps Institutes manage their admission process online including student management, online payments, merit lists, counselling scheduling, reporting and related tasks! Admitek Speech Digital Language Lab is a premier, state-of-the-art language learning solution for teachers & students which offers an easy to use interface & power packed features. Future-ready Smart & Virtual Class rooms with Interactive Whiteboard, Video Conferencing, Lecture Recording, Live Telecast, Cloud Storage & Interactive Applications, Public Addressing System & more. Admitek PayMate is a Fees Collection & Management System for Schools, Colleges & Coaching Institutes looking to manage students & collect fees from them using the digital route. Admitek Website Manager is a comprehensive and easy to use ‘Website Designing Software’ for Schools & Colleges willing to create & manage their Institute’s website on their own. 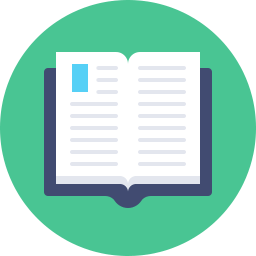 Admitek DigiLib is a feature-rich, RFID & Barcode enabled Library Management Software with features like – patron management, web-based cataloging, online payment of fine, online reissues and more. We design, print & supply excellent quality, long-lasting RFID, Barcoded & Micro-chip based ID Cards to our clients. We also offer single/multi-color printing on Lanyards and Card Holders. A quick numerical insight to our Clients, Projects, Awards & more. Admitek has helped our college conduct online admissions for the academic year 2015-2016 flawlessly when none of the software were working properly. We are happy to have SevenM as our online admission partner.
" 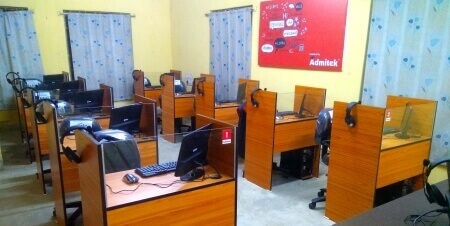 We came to Admitek with a dream for our Admission Process to be Online. You tuned in, that vision with your useful feedback and understanding, created an exceptionally helpful framework for us! We don't hear anything yet positive remarks! So once more, THANK YOU!"